Easy to Maneuver. Easy to Shop. The perfect, small-space solution for customers that value comfort and convenience. Want the lightweight convenience of retail baskets coupled with the enhanced mobility of a shopping carriage? Try Good L Corp’s basket carts. We combine our innovative carrier and cart designs for a sleek and efficient hybrid product that supports both store and consumer needs throughout every shopping event. 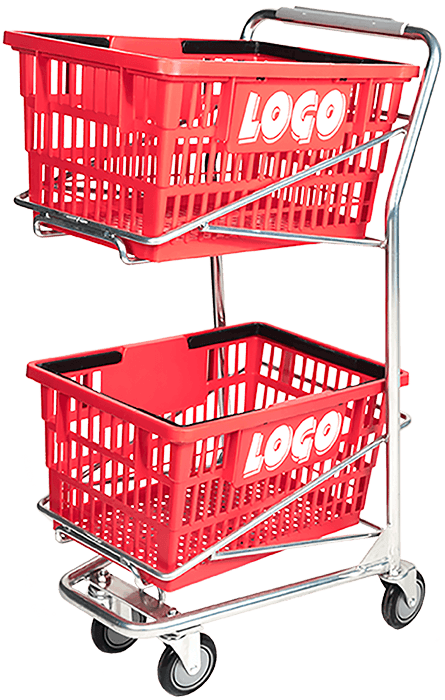 Good L Corp patented basket designs stack taller to showcase your brand's full logo at all times, even when nested. Our baskets come in a multitude of colors to command attention and support your brand palette. Pick the best shade for your company and Good L Corp will emboss with your headers and logo for a 100% color match. Good L Corp carriers nest together in 4-foot high stacks for increased, eye-catching visibility that encourages more impulse sales. Our aisle stacks help identify and track sales patterns to better support customer demand and convenience. Sometimes shopping calls for a device larger than a basket but smaller than a shopping cart. The basket cart is the perfect solution for stores with narrow aisles, heavy products, and frustrated customers. 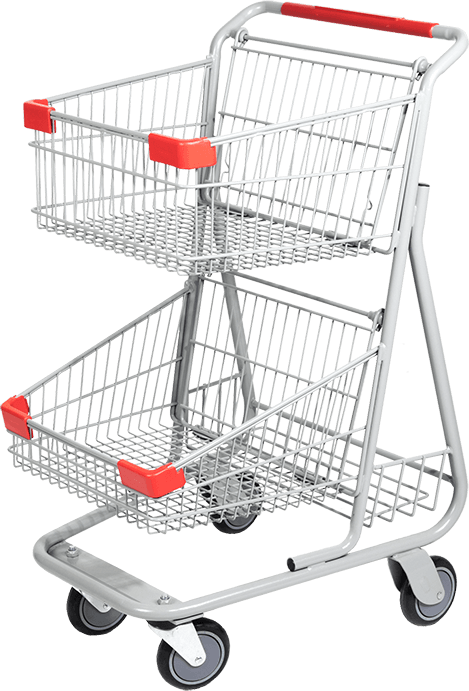 Double steel basket carts are easy to navigate and can comfortably hold anything the average shopper needs. Learn how to have these durable carts in your store with a free quote today. Why wait to improve your business in such a simple way? By ordering customized baskets for your store, you’ll be helping customers and yourself. With 6 different styles, and many colors to choose from, start planning your basket order from Good L Corporation. You’ll see firsthand what high-quality baskets can do for your business.